Deithung Nullah is a police outpost located 35km from Tuensang and 10km from Tobu. This post was strategically setup for conflict resolution. A 3kw hydroger was installed from 20th-22nd March, 2014 with the active support of E-coy 12 (IR) Bn. 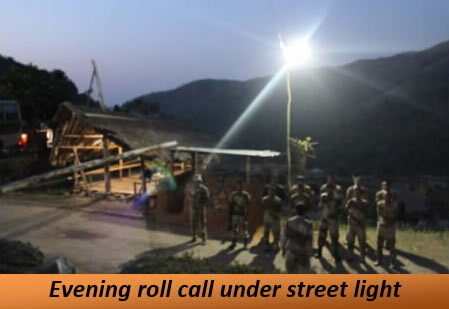 jawans and inaugurated by SP Tuensang who declared this outpost as “Green Platoon”. The day to day activities and morale of the jawans have improved. The problems of charging communication sets, mobiles, laptops etc. are now a thing of the past. The diesel generator which was used for an hour daily is no more in use.